Valentine's Donuts! Wilton 6-Cavity Mini Heart Pan Only $8.99 + FREE Prime Shipping! You are here: Home / Great Deals / Amazon Deals / Valentine’s Donuts! Wilton 6-Cavity Mini Heart Pan Only $8.99 + FREE Prime Shipping! Valentine’s Donuts! 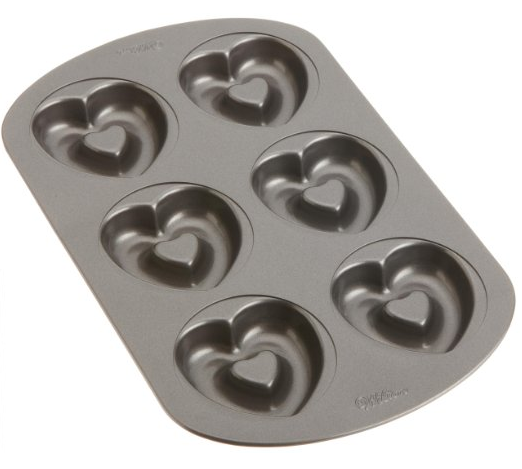 Wilton 6-Cavity Mini Heart Pan Only $8.99 + FREE Prime Shipping! Wow!! What a HOT price for this brand! Right now you can snag this Wilton 6-Cavity Mini Heart Pan for only $8.99 + FREE Prime Shipping (Reg. $15) – sign up for a FREE 1 month trial of Prime here!